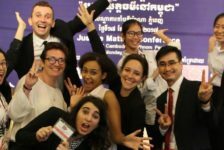 In 1991, after having suffered of civil war for about two decades, the Cambodian political system marked a new turning point. All belligerents signed the Paris Peace Agreement, whose main purposes were to establish a ceasefire and hold democratic elections. It is no later than September 21, 1993 that a democratic Constitution was adopted. 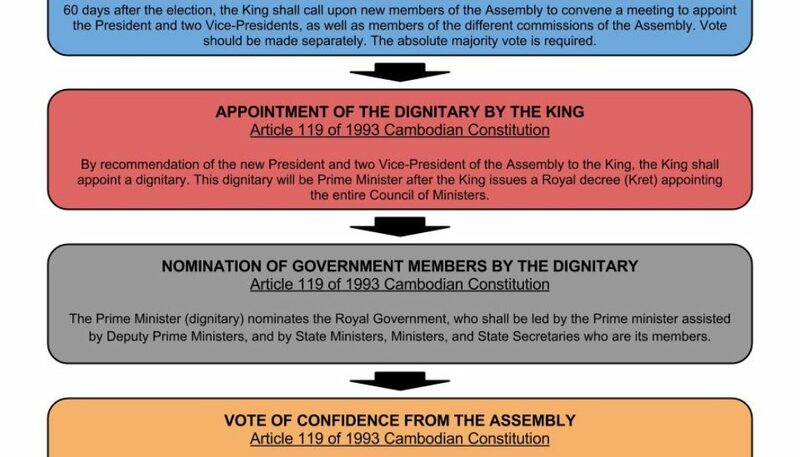 Under article 78 of Cambodian Constitution, the elections are held every five years. The Government is borned by the National assembly and shall be held accountable to this same body. 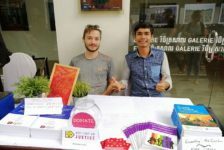 Celebrating its 20 years this year, the 1993 Cambodian Constitution already saw the general elections being held four times, and will insure that the July, 28 2013 general elections will be held democratically. 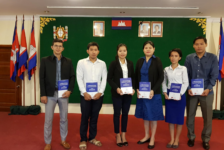 In order to better understand the electoral process in Cambodia, this briefing paper presents how does the general elections take place here. 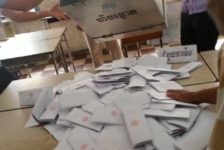 Under the Constitution, since the voting system is a proportional representation, Cambodian citizens are voting for a local representative in each of the twenty-four different provinces. Each representative is affiliated to a political party and, if elected, will seat in the National Assembly under its party’s etiquette. 90 days before the elections, The National Election Committee (NEC) opens the registration to the political parties in order to join the election. Then, the NEC checks the validity of the applications and sends a notification to the political party within seven days whether it has been accepted or not. The electoral campaign shall last for 31 days before the election day. This year, the electoral campaign will start on June 27 and end on 26 July 26, 2013. The elections day is set to be on July 28, 2013. Once the elections have been held and the seats attributed in the National assembly, a Prime minister needs to be designated. 60 days after the election, the King shall call upon new members for the first session of the Assembly in order to vote for the President and the two Vice-Presidents of the National Assembly, as well as members of the different commissions of the Assembly. Vote should be made separately. The absolute majority vote is required. 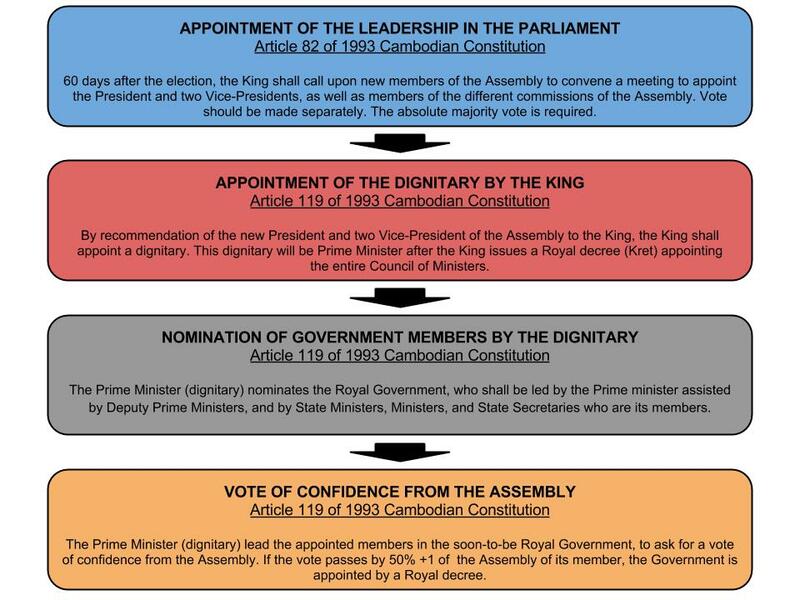 Following the recommendations of the new President and the two Vice-Presidents of the National Assembly, the King shall appoint a dignitary. This dignitary will be the Prime minister of Cambodia after the King signs the royal decree appointing the Council of Ministers. Then, the Prime Minister nominates the members of the Council of Ministers. Generally, the Council of Ministers is composed of the Prime Minister, Deputy Prime Ministers, Senior Ministers, Ministers, and Secretaries of State. Then, the Prime Minister will lead the members of the Council of Ministers in front of the National Assembly in order to get the confidence vote. Simple majority is needed. Finally, the King will sign a royal decree (Kret) to appoint the Council of Ministers. 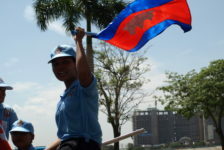 In 2003, during the 3rd cambodian general elections, both FUNCINPEC and PPC won the election. Neither of the two winning parties could form their own government, as the number of their seats in the National Assembly were insufficient to gain absolute majority. Cambodian politics had faced the deadlock for over a year, until the political negotiation between those two parties reached a deal to have a package vote. The package vote is a mechanism that allows the appointment of the leadership of the Assembly (President and Vice-President) and the confidence of Government at the same time. In order to avoid a similar crisis, the voting system was amended. In 2006, the National Assembly amended the Constitution to change from absolute majority vote to simple majority vote for the government to get the confidence vote. 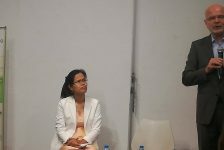 As the 5th national election will be held soon, the political environment in Cambodia is being stiff. 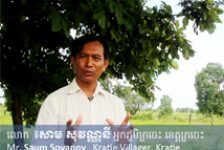 There are eight political parties and the two main rival parties are the ruling Cambodian People’s Party (CPP) and the Cambodian National Rescue Party (CNRP).